2017 was a huge year of change for me and my family. We built our dream house and moved into it this summer. I am still in awe that it’s done, and it’s ours, and we live here. I went cruelty free with my beauty routine. As a result, I purged a ton of beauty products. And on the subject of purging, we purged a lot of unneeded/unwanted items from our house. Toys, household goods, appliances, clothes, books, etc. You name it, and we probably got rid of it! In fact, we’re still decluttering. It’s insane the amount of stuff we have amassed over the 11+ years we’ve been married. Along with simplifying my beauty routine, I’ve also pared down my closet. I’m still in the midst of building up a wardrobe that I love, which made me feel like this was a year of ‘in-between.’ We’ve be in between houses, I’ve been in between beauty routines while I use up old products, and my wardrobe felt lacking this year. After I purged, I wasn’t really sure what to add back in. I guess that will come with time, and I’ll talk more about that tomorrow in my goals post. 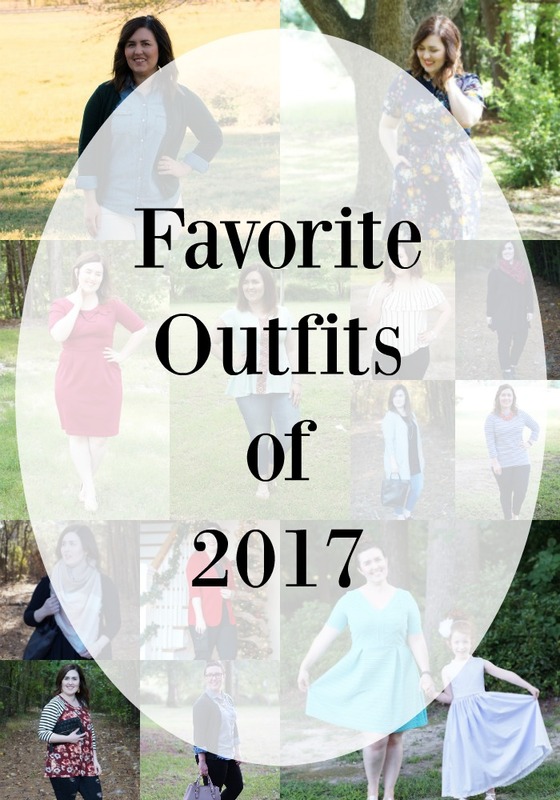 For today, I wanted to share a few of my favorite outfits from the year. 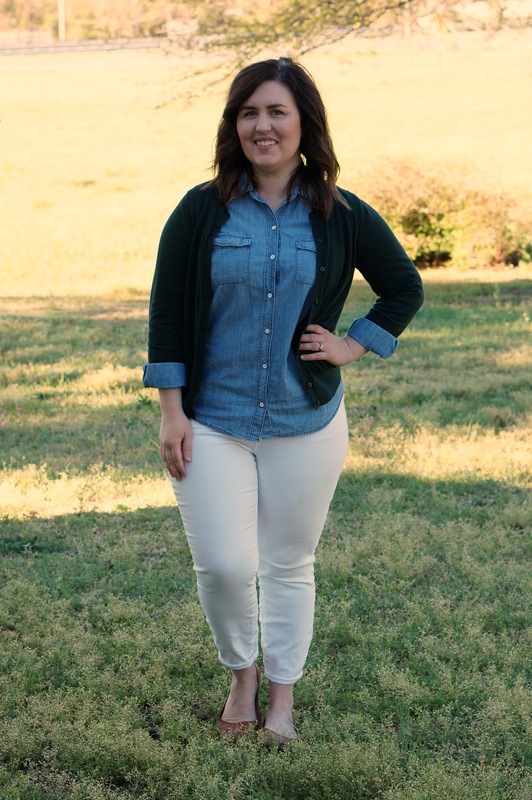 I disliked more than I liked my outfits this year, which made blogging awkward for me. I put this weird pressure on myself to 100% love everything 100% of the time, and then share it online. I hope the awkwardness didn’t show through, but it’s okay if it did. This blog is all about the things I like and love, I just wish I’d had more content this year. Hopefully that makes sense. I felt so in between everything, it was hard to hunker down and focus on the blog as much as I’m used to doing. Anyways, these outfits are my absolute favorite outfits from the year. They are in chronological order and as I look at them, I realize that as the year went on I slowly gained back my style mojo. I am increasingly happier with the direction my wardrobe and style are going, and my feeling is 2018 is going to be an amazing year not only for my style but also for my beauty content, and all the other things I share along the way (home, kids, food, etc.). And with that, my main point is this: 2017 was weird and great, and these are just a few outfits that I loved this year. Stick around tomorrow for a little chit chat on my 2017 goals, what I succeeded in, what I didn’t succeed in, and what I’m striving for in 2018.